From a photo reference. 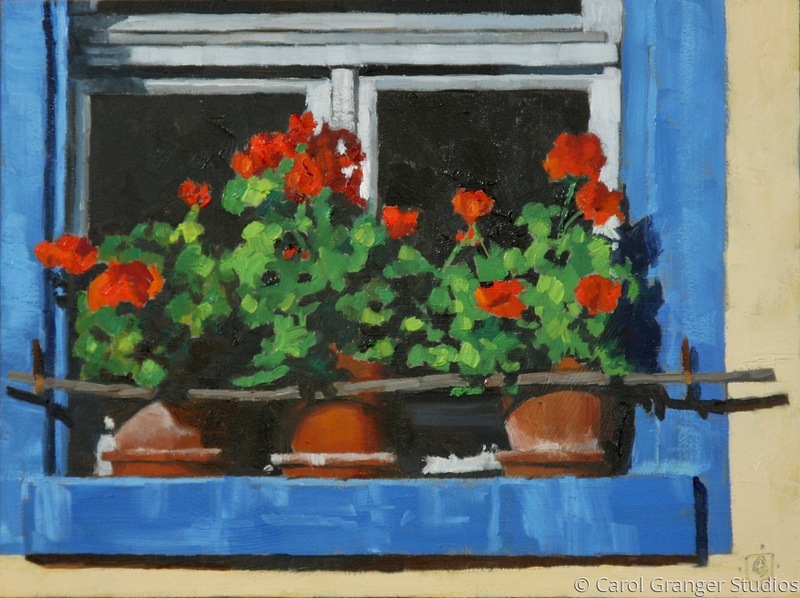 These geraniums are sitting so beautifully in their windowsill. I love the red blossoms contrasted with the green foliage and all set off in a dark shaded window.